Gnowit uses advanced machine learning and AI to keep track of what is important to you. 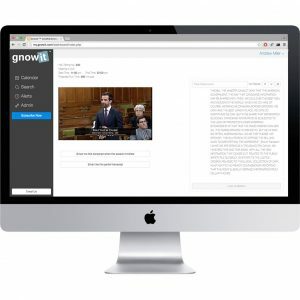 Whether you are tracking brand mentions and industry trends for your clients, or need to know what is being said in the House of Commons, Gnowit’s platforms provide the real-time insights you need. Effectively monitor your brand, the competition, industry developments, and any relevant news. Real-time transcription of the House of Commons. 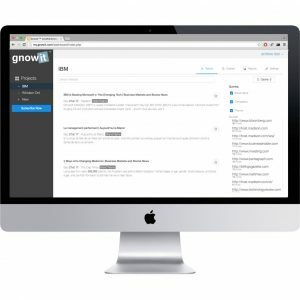 How does Gnowit work for you? I co-run a small business in Canada and I do a lot of research for our company. […] I’ve only been using gnowit for a couple of weeks and already I am saving serious digging time with my research. One search last week saved me an hour.